Breast cancer was nowhere on Sarah Dill’s radar. She was a working mom, raising two preschoolers, without a strong family history of breast cancer. Plus, she was only 31-years-old. In fact, when her office brought in a mammography truck to screen employees for breast cancer, she was told she didn’t qualify to have a mammogram because it was very unlikely she had breast cancer. Yet, a short time later, she found herself in the Kelsey-Seybold Cancer Center at the Spring Medical and Diagnostic Center sitting across from an oncologist, being diagnosed with Stage 2B Triple Positive Breast Cancer. Sarah initially called her Kelsey-Seybold OB-GYN, Dr. Jennifer Breazeale, when she felt an unusual hardening on the skin of her left breast. “She had me go in for a mammogram and they found two suspicious spots,” she said. From there, she had two biopsies which confirmed she had breast cancer. That led to her visit with the oncologist, who gave Sarah her treatment plan which included chemotherapy, radiation therapy, and more surgery. She underwent chemotherapy treatments at the Spring Medical and Diagnostic Center for 18 weeks, and that was followed by a mastectomy performed by Dr. Trenneth Baker. 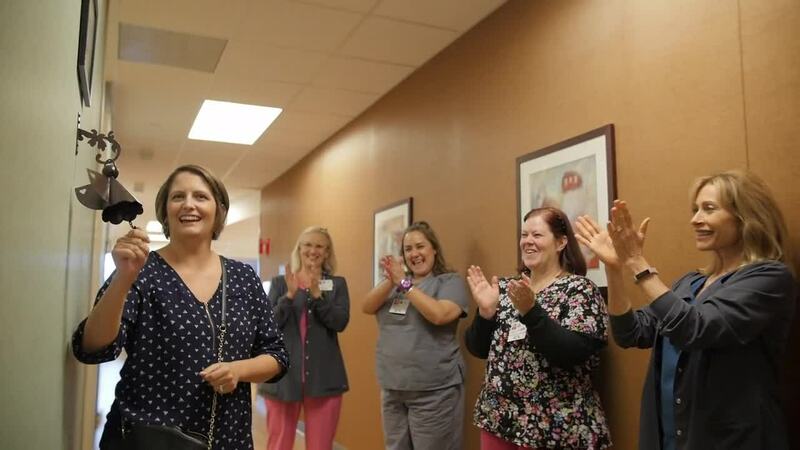 Once she recovered from the mastectomy, it was time to begin 30 rounds of radiation treatments. But before she could get started, Hurricane Harvey hit Houston. Both Kelsey-Seybold employees and patients were unable to navigate the roadways due to floodwaters. Despite the rocky start, Sarah ended her radiation treatments after 30 rounds. She took maintenance Herceptin Infusions as a part of her post-care for a year following her treatments. Six months after radiation treatments ended, she was a candidate for reconstructive surgery. Sarah’s husband stood by her side during her entire experience – he drove her to every treatment session and was present for her surgeries. Grandparents were available to help care for her then 2- and 4- year-old children so she could focus her energy on resting and getting well. Her Kelsey-Seybold physicians called to check on her frequently, including her oncologist.